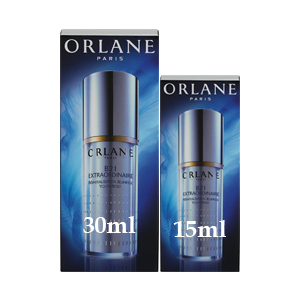 The B21 Extraordinaire Youth Reset is the Orlane’s most popular among customers worldwide. This product works as a filler and botox at the same time. This product is suitable for any skin type, at any age, day and night. If you love your skincare regiment, there is no need to change it, with this product added to your treatment you will add better results as it will cleanse the cells to increase the power of your skincare. For only $242.00 you will receive 45ml, shared between two bottles on of 30ml (to keep home) and other of 15ml (to take with you).